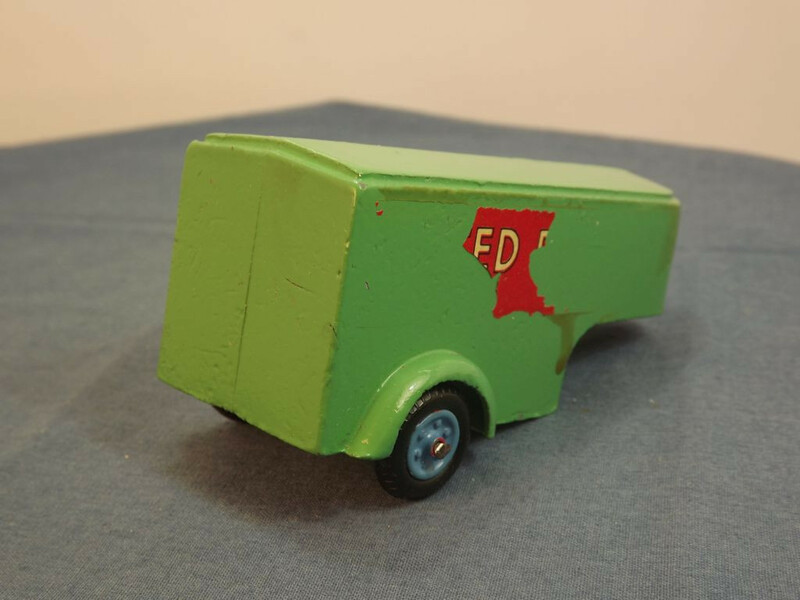 This model is the Benbros Qualitoy Series Articulated Removals Lorry in red and green with United Dairies decals. 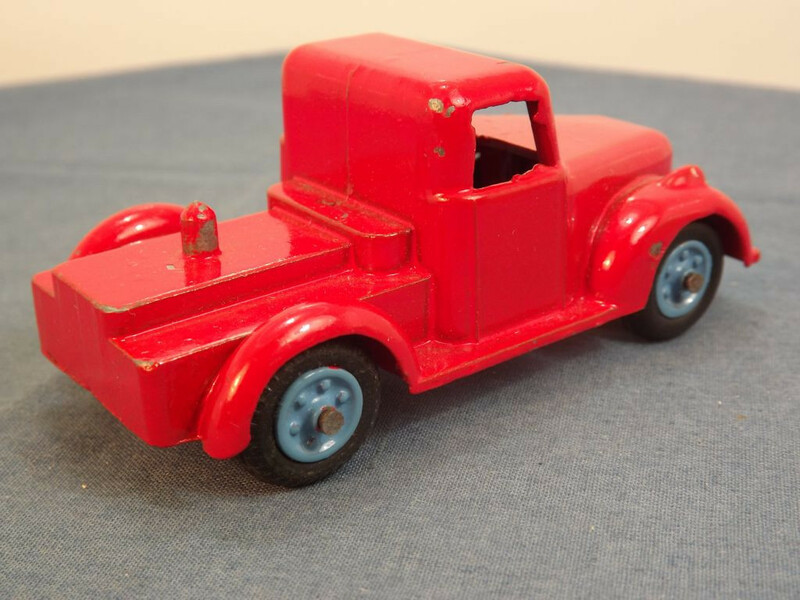 Produced from the old Timpo dies, the tractor unit is a one-piece cast metal body with molded grille and side lights. At the sides there are basic outlines of the cab doors. The articulated trailer is also a one-piece casting with no features other than the wheel guards. 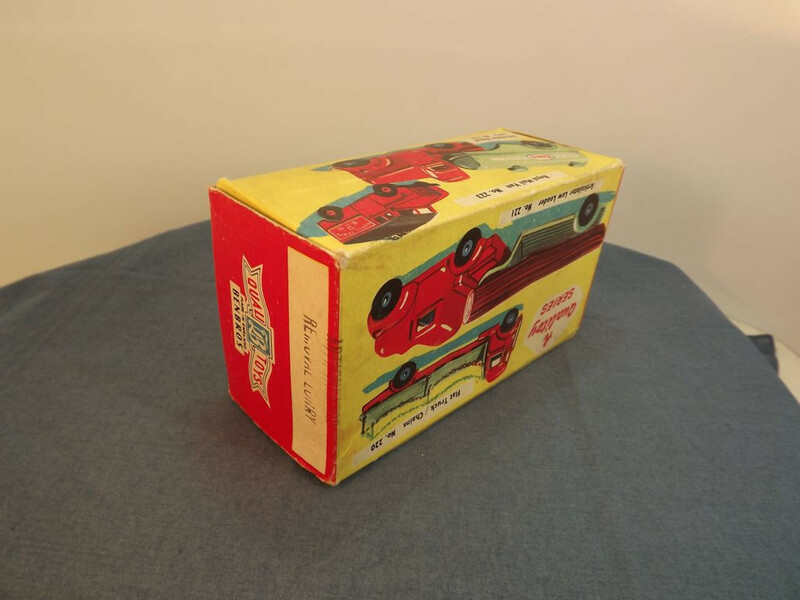 Its sides are adorned with United Dairies decals (yellow lettering on red background). There is no cab interior or glazing. 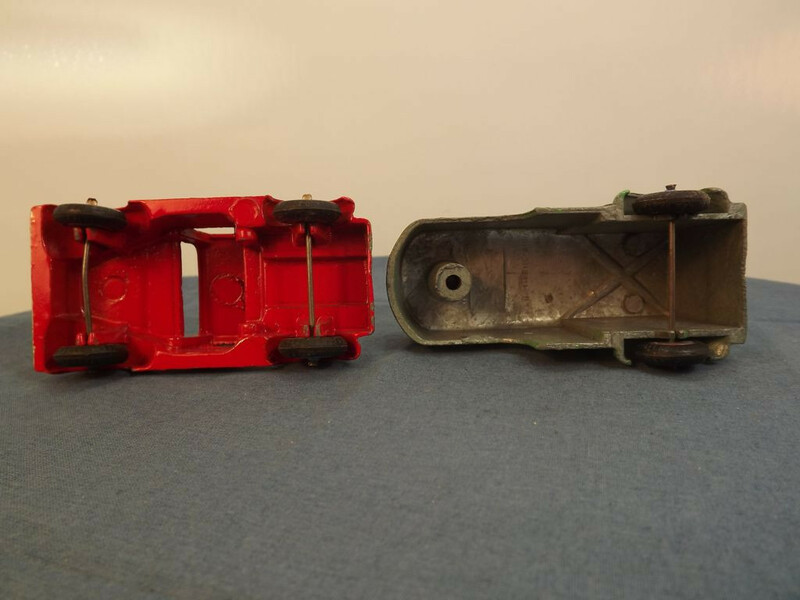 There is no base plate on either the cab or trailer. The cab has no country of origin or manufacturer's marks. The trailer has a faint "Made In England" mark. All wheels are blue, one-piece metal hubs with a 6 stud pattern, each with a black rubber tyre, on steel crimped axles. The axles are held to the chassis by means of pinch-clamped posts. 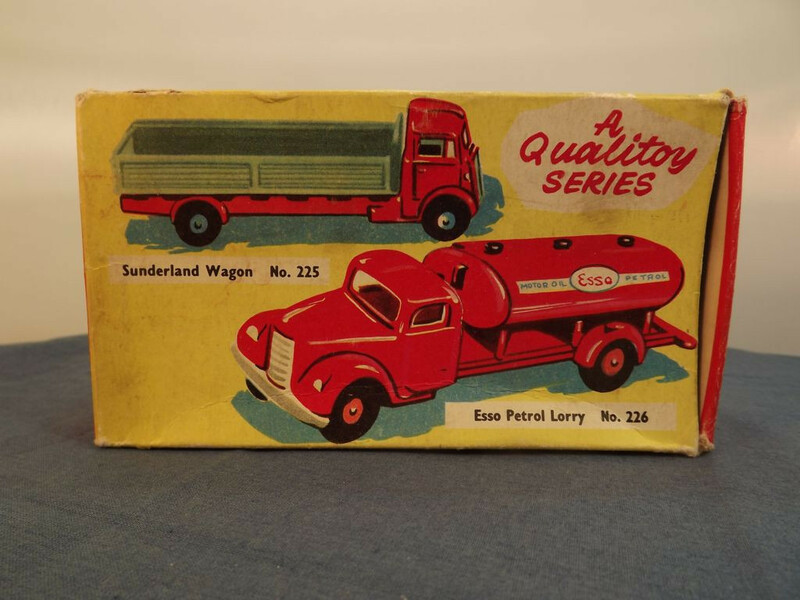 The item comes in packaging typical of the era — a colourful card box depicting several other Benbros items such as the articulated petrol tanker, land rover, petrol tanker, Sunderland lorry, etc. 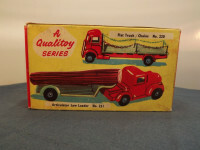 It is clearly marked "A Qualitoy Series" on the main faces and "QUALI B TOYS, Made in England, Benbros" on three lines on the end flaps. 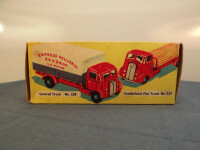 This model was issued between 1954 and the 1960s.